Did you know that October is National Pasta Month? 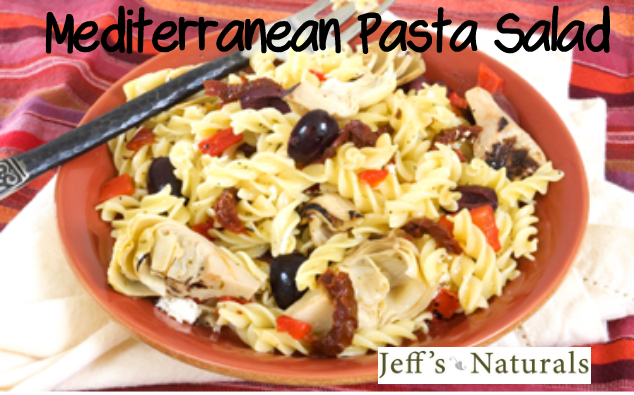 Since Jeff’s Naturals Mediterranean products and pasta go together like spaghetti and meatballs, we thought it would be fun to honor this beloved traditional Italian cuisine by sharing some fun facts about pasta along with some of our favorite recipes. The first industrial pasta factory in America was built in Brooklyn in 1848 by a Frenchman, who spread his spaghetti strands on the roof to dry in the sunshine. Pasta can be traced as far back as the fourth century B.C., where an Etruscan tomb showed a group of natives making what appears to be pasta. To cook one billion pounds of pasta, you would need 2,021,452,000 gallons of water – enough to fill nearly 75,000 Olympic-size swimming pools. It was not until the 1700’s until tomato sauce was included with spaghetti in Italian kitchens. The Chinese were making a noodle-like food as early as 3000 B.C. Legend has it that Marco Polo introduced pasta to Italy following his exploration of the Far East in the late 13th century. Thomas Jefferson is credited with bringing the first “macaroni” machine to America in 1789 when he returned home after serving as ambassador to France. The average person in Italy eats more than 51 pounds of pasta every year. 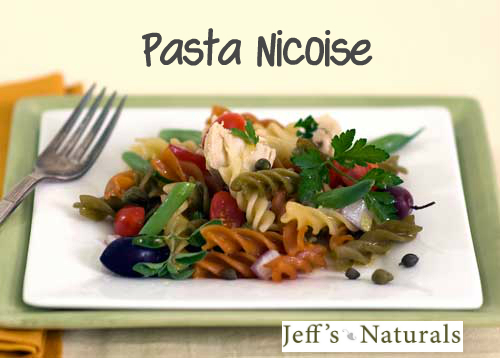 The average person in North America eats about 15-1/2 pounds of pasta per year. Boil Pasta according to the directions on the package. Rinse under cold water and drain thoroughly. Add pasta to a medium sized bowl along with the remaining ingredients. Blend together. The pasta salad may be served immediately or stored covered in the refrigerator for the following day. Enjoy! 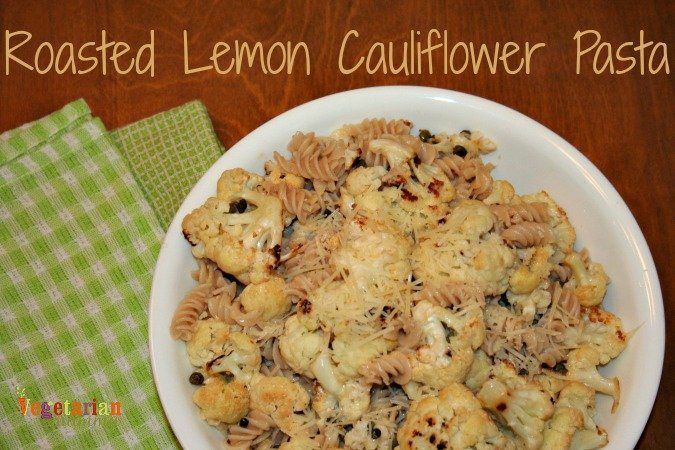 A refreshing dish created by food blogger, Vegetarian Mama. 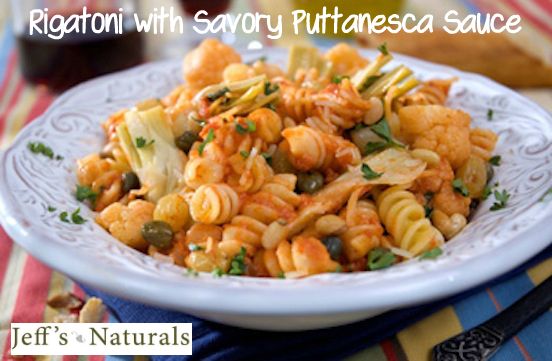 This recipe combines gluten free pasta, cauliflower, lemon, Parmesan cheese and Jeff’s Naturals™ Imported Non-Pareil Capers. Click Here for the Recipe.